The window film manufacturers continue to innovate and bring more value to their dealers. SolarGard is leading the charge in this new area of bringing window film estimation tools to your mobile devices like the Apple iPad and iPhone. 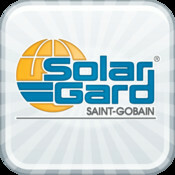 Instead of pulling out your large laptop, and waiting for it to boot-up during a discussion with a client while making awkward small talk as your wait, the SolarGard mobile application allows you to instantly whip out your iPhone or iPad and immediately start taking job notes on window sizes, types, and other details. Currently, this app is only available on Apple devices, and has not been made available on Android devices from HTC, Samsung, Motorola, etc… We look forward to seeing more features and platforms being supported by this application, bringing window film shops to the next generation in marketing and presentation.